Thanks for the link, white man. Added to the Megalist. Think you want this dd. thanks Marky, is that the cd artwork? I have the cdr but not the front and back cd jewel case inserts. Yes it's the artwork for the cd and cover. It was released in a carboard cover and not a jewel case, cheers. Marky, it said temporarily unavailable on the link. if you just have the cover as a jpeg it will be ok. Sorry dd at work now so will upload in the morning, cheers. Marky Dread wrote: Think you want this dd. Thanks Marky! That looks awesome! Does anyone have an accurate date for when the various eps and albums were released? I have vague memories, which get even more vague with age. 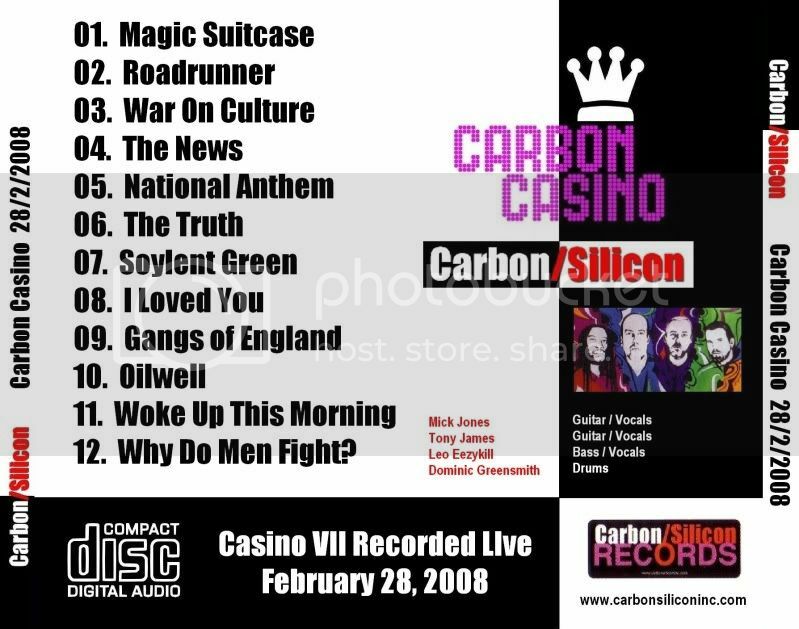 Google[BOT] wrote: Carbon Casino VII Complete video with audio upgrade. Anybody have the Carbon Bubble?